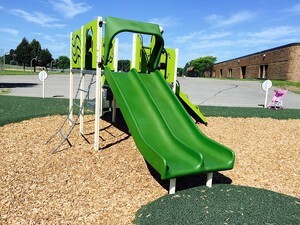 Each year, the Maple Grove Parks Board focuses on replacing several of the 52 play structures throughout Maple Grove “to ensure users continue to have a safe and fun play experience,” according to Maple Grove Director of Parks and Recreation Chuck Stifter said. “It was a wonderful process and I believe it was enjoyed by those involved,” he said. Depending on the wear of the equipment, replacements typically occur around the 20-year mark. ISD 279 - Osseo Area Schools and the city of Maple Grove have a joint powers agreement to share use at each of the schools. Routine inspection and replacement of play equipment “originally purchased by the city is the city’s responsibility,” Stifter said. The removal and replacement at each site was approximately $145,000. In addition to the new playground equipment, the surface material was changed from pea-rock to wood fiber mulch at the replacement sites. 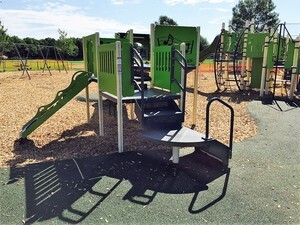 The Elm Creek play structure replacement has been completed. It is anticipated the Rice Lake and Rush Creek play area structures are to be completed before school starts Sept. 5. In 2018, play equipment at Cedar Island, Weaver Lake, and Fernbrook schools are scheduled to be replaced.